The staff was exceptional! Very friendly and informative. 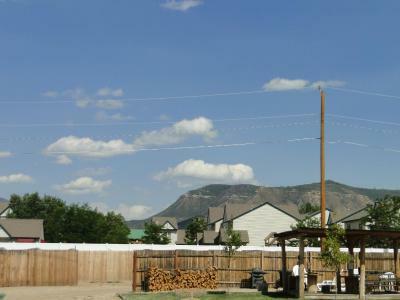 Great location with close access to shopping, restaurants and outdoor activities. Every room is decorated in a different theme, quirky yet very well done. Great price, warm welcome, quiet. 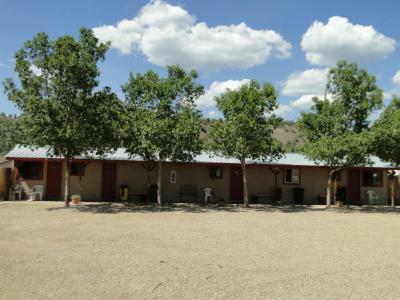 Property was nicely landscaped and cared for, with personal touches, such as a fun rock painting area. They take pride in providing good quality coffee for the coffeemaker in the room. 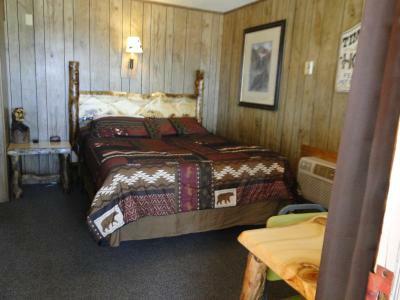 The room had newer upgrades done and was quiet considering it was along the Hwy. She had put out fresh coffee in the room and there was creamer that was not powder! The owners dogs were super friendly and cute! 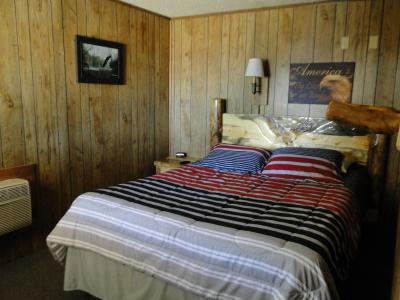 The room was remodeled and the bed was very comfortable. There was a nice table to sit at and plan your next adventure and where to go tomorrow. The mini 'fridge was helpful in keeping water and food cold. The place had an old fashioned look to it but was really comfortable and clean - cosy but all we needed. We did go for a walk/run in the little park across from the hotel and it was nice. Ms Kitty (real name?) and nice lady. Every one there, especially Kate, were very friendly and casual! 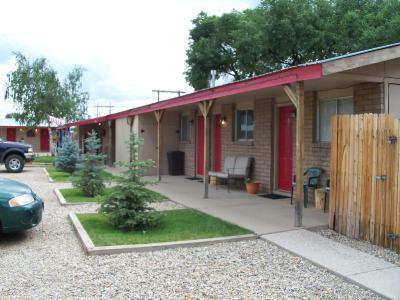 It is such a cute, nice and warm-feeling motel! 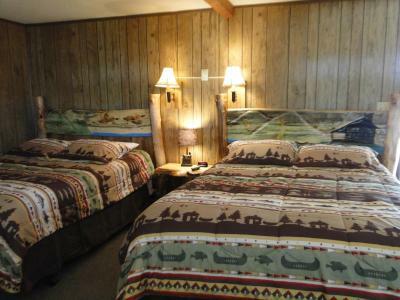 Never had such a positive impression for a motel. It feels more like visiting a friend’s place and you get to sleep in their guest house. Ms Kitty has a great, warm, friendly and creative personality and the place reflects that. Highly recommended! 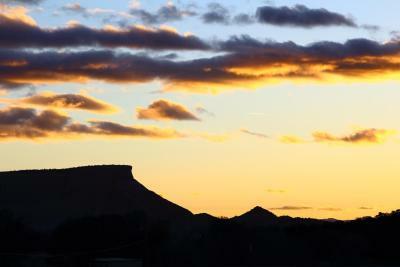 Also location for Mesa Verde is great. Thank you Ms Kitty! Quite and comfortable. Owners very friendly and accommodating. Let friendly. Friendly staff, great deal. There was a mix up on dates with my online booking, accommodated my changes with ease. 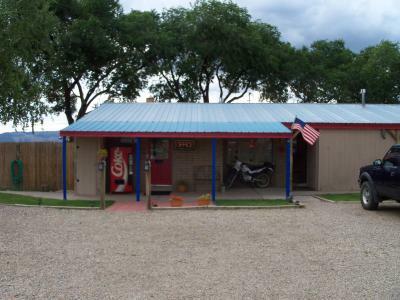 Ms. Kitty's Country Inn This rating is a reflection of how the property compares to the industry standard when it comes to price, facilities and services available. It's based on a self-evaluation by the property. Use this rating to help choose your stay! 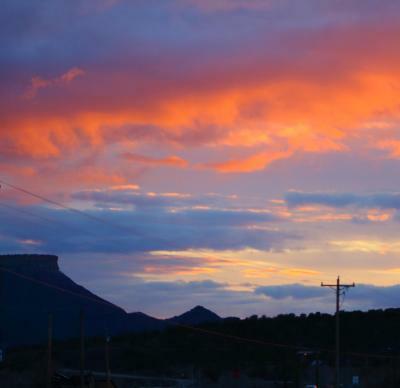 This Mancos, Colorado motel features mountain views, a covered pavilion with barbecue facilities and guest rooms with Free Wi-Fi. 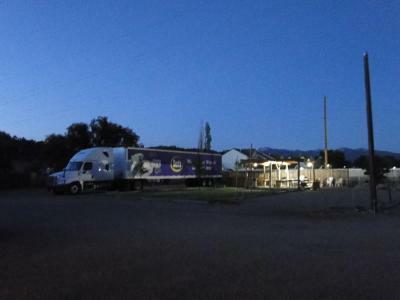 Ms. Kitty's Country Inn is 8 miles from Mesa Verde National Park. 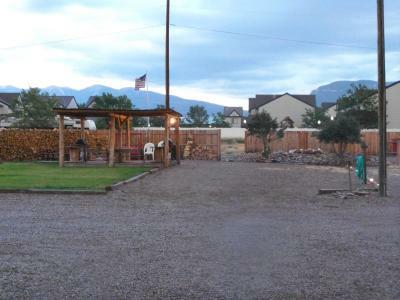 Located between the San Juan and Mesa Verde mountain ranges, the motel offers a horseshoe pit for guests to enjoy year-round. It also provides a vending machine. 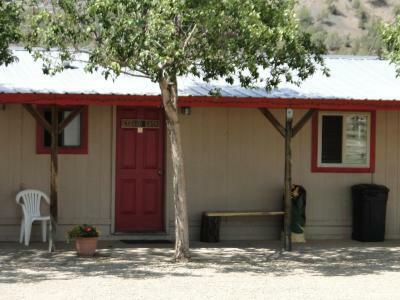 Featuring light wooden furniture, all of the guest rooms offer cable TV and a desk. 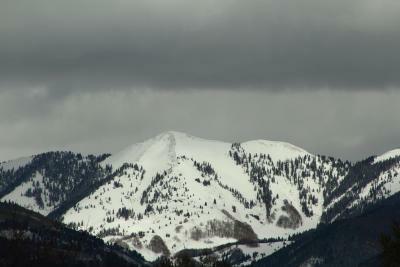 Downtown Mancos is 1 miles from Ms. Kitty's Country Inn. 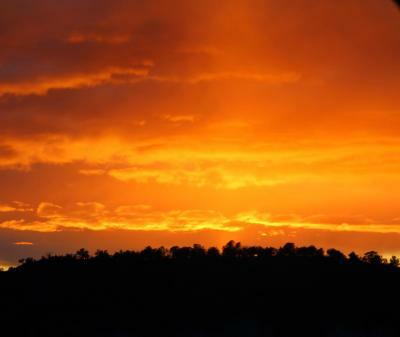 Bauer Lake is 3 miles away while Mancos State Park is 6 miles away. 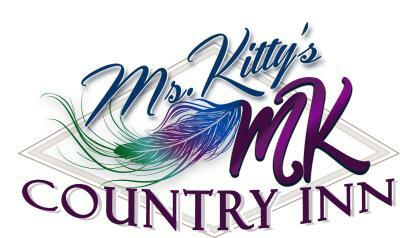 When would you like to stay at Ms. Kitty's Country Inn? House Rules Ms. Kitty's Country Inn takes special requests – add in the next step! Ms. Kitty&#39;s Country Inn accepts these cards and reserves the right to temporarily hold an amount prior to arrival. Ms. Kitty's Country Inn accepts these cards and reserves the right to temporarily hold an amount prior to arrival. Guests arriving after 21:00 are required to contact the property prior to arrival. Please inform Ms. Kitty's Country Inn of your expected arrival time in advance. You can use the Special Requests box when booking, or contact the property directly using the contact details in your confirmation. It's not really their fault, but there was alot of trash from the highway and people who used the driveways around her place. Ms. Kitty was very accommodating and helpful whenever I needed anything. I enjoyed my stay. Coffee maker was not good. The place in general looked a little bit trashy. The room was not cleaned and ready when I arrived almost at 6 pm and had to wait. The lady at the front desk, although I am still waiting for my receipt. There was no paper in printer. 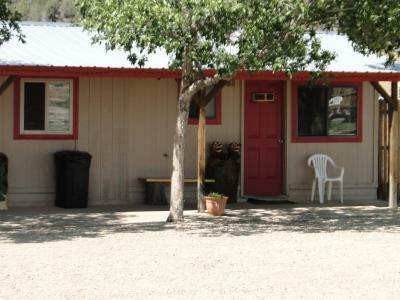 Super nice family, beautiful rooms, cosy hotel and 10 mn away from Mesa Verde ! We just loved it !!! 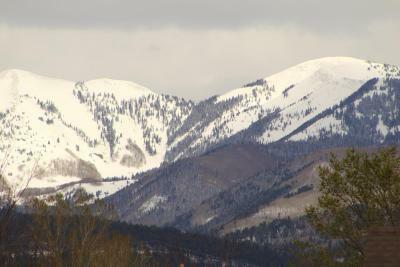 Fresh air, great scene, and wonderful locals!